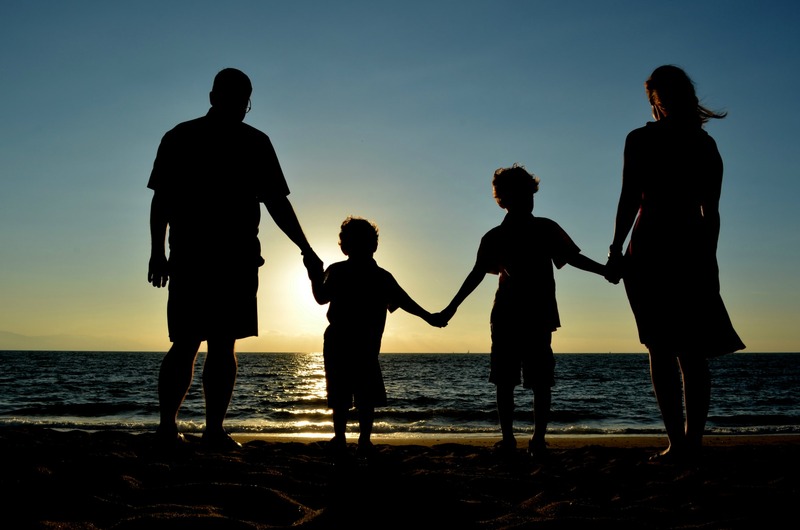 Unconditional love is about putting our own needs aside for the wants and needs of our children – right? 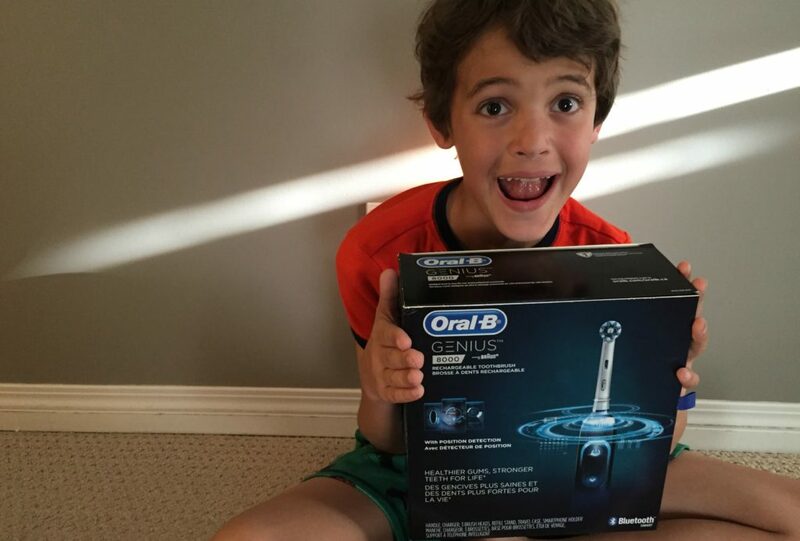 So when Oral-B asked to partner with me to talk about the Oral-B Genius 8000 as a perfect gift for Father’s Day – I knew what was going to happen; and it did happen. The moment the box arrived on our doorstep, my oldest son ripped it open and claimed it for his own. Fresh from having his first round of braces removed, fresh from the next round of teeth falling out, fully appreciating that his brushing skills were highly accountable to dentists, orthodontists, and bill paying parents, he pounced on the chance to have it. 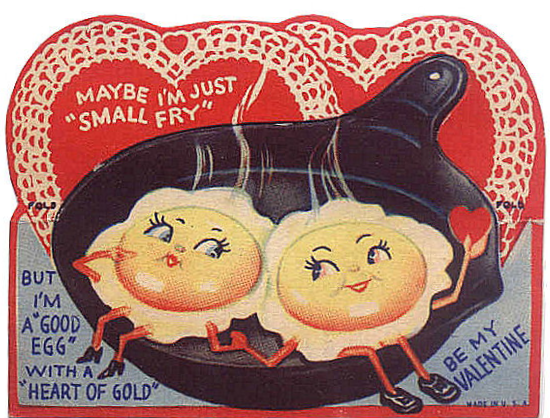 And, unconditional love being what it is, I let him have it. 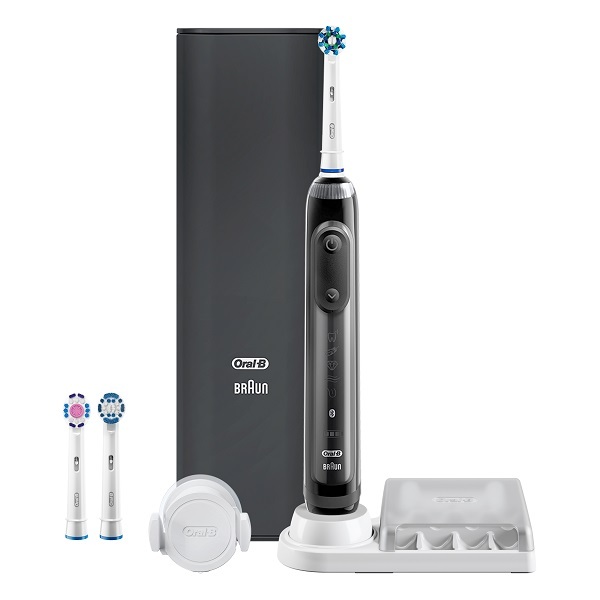 Yes, the Oral-B Genius 8000 offers best-in-class features including a groundbreaking position detection technology that combines motion sensor tech with video recognition using your smartphone’s front facing camera to track areas and ensure that no zone is missed. You know, the kind of technology that would help me keep the teeth I have up to snuff and avoid those knowing stares when I sit in the dental chair on my own. But it’s not about me. It’s about them. So I fired up the Oral-B App to watch him brush – with a big grin. While your phone is sitting on your screen and you have the Oral-B App open, it feeds you news headlines and weather, just like the screens in elevators! 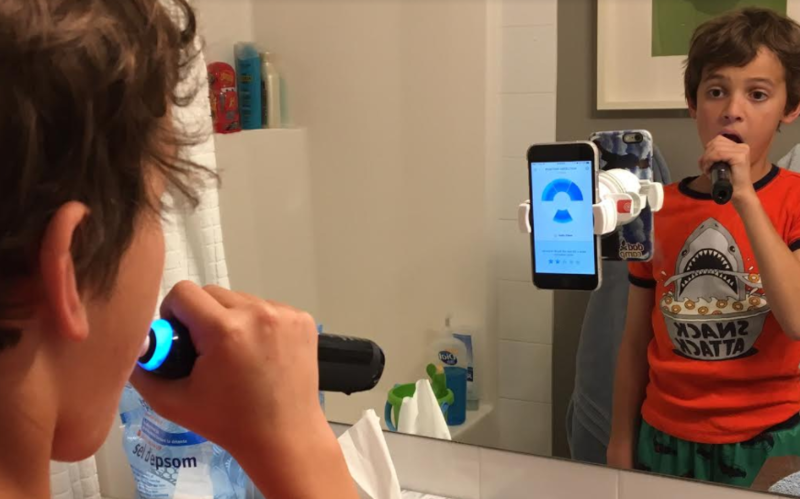 Gamifying tooth brushing really does keep my son more focused at what he needs to do. He moved his brush around evenly, and kept it in his mouth longer. The average brush length is less than a minute when we go on our own, with the app, Oral-B has measured average brushing time at nearly 2 and a half minutes. 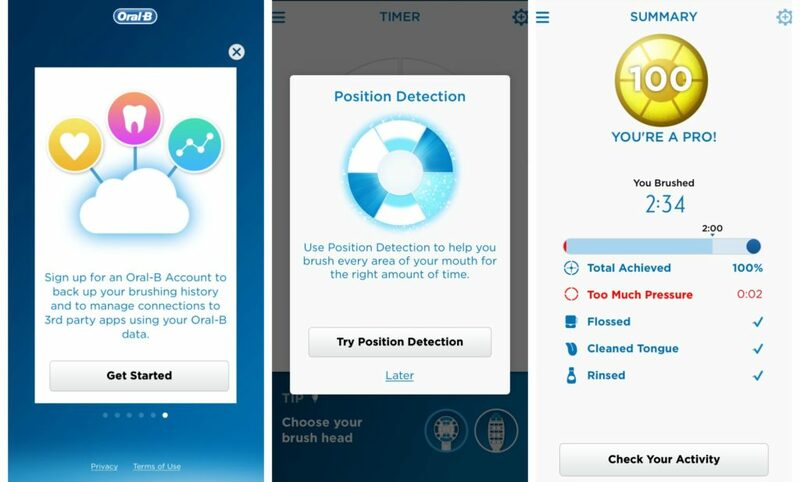 My big problem is pressing too hard, the Oral-B Genius 8000 will have a red light on the handle or on the screen of the app if you’re applying too much pressure. There are different settings to scrub your tongue along with reminders to floss and swish with a mouth wash. 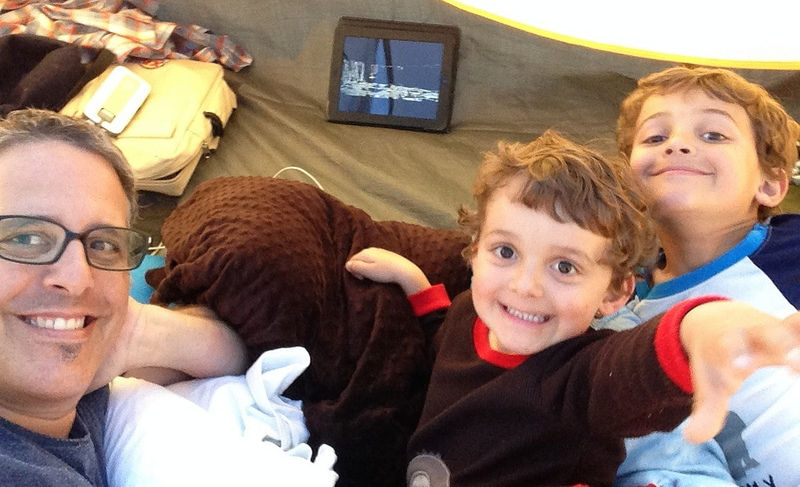 It was great to watch him geek out over brushing his teeth (with my toothbrush) and then I thought about the one day it could be about me – Father’s Day. Dropping an Oral-B Genius 8000 under the Father’s Day tree of gratitude on Sunday would be a darn nice surprise.